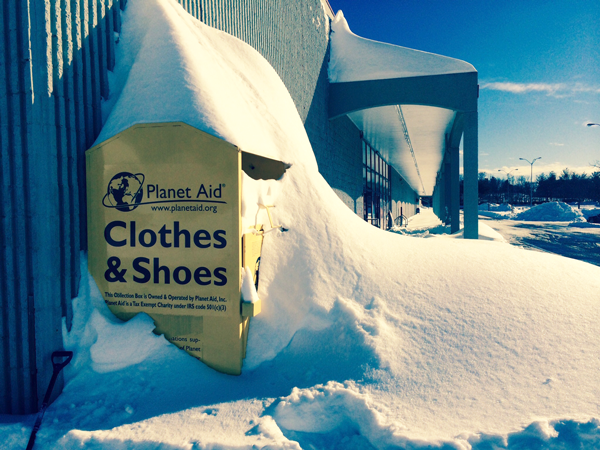 Planet Aid Boxes Buried by Record-Breaking Snow - Planet Aid, Inc. 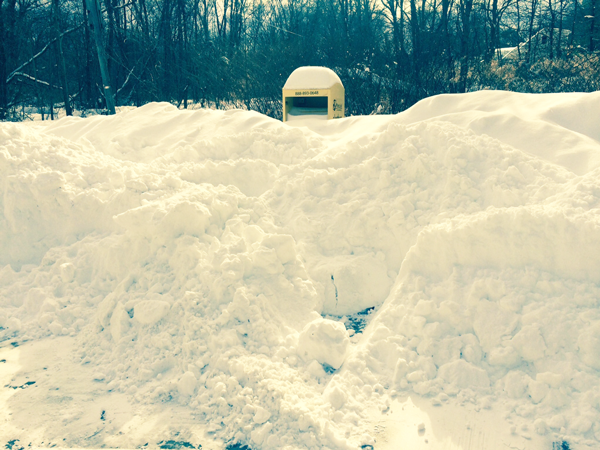 Record-breaking snowstorms are blanketing many parts of the U.S. with snow this winter. 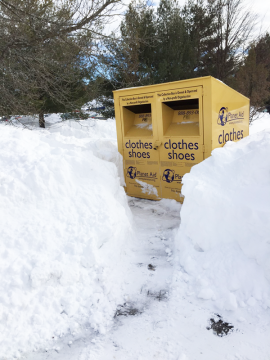 Check out these photos from Planet Aid's Massachusetts office, where local boxes are feeling the wrath of the blizzards. 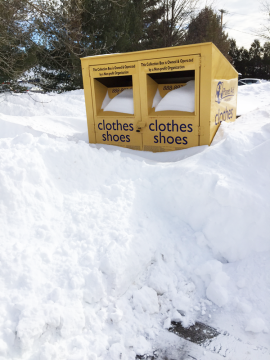 We are sending out teams to clear paths to the boxes so that supporters can continue to donate their clothes and shoes! 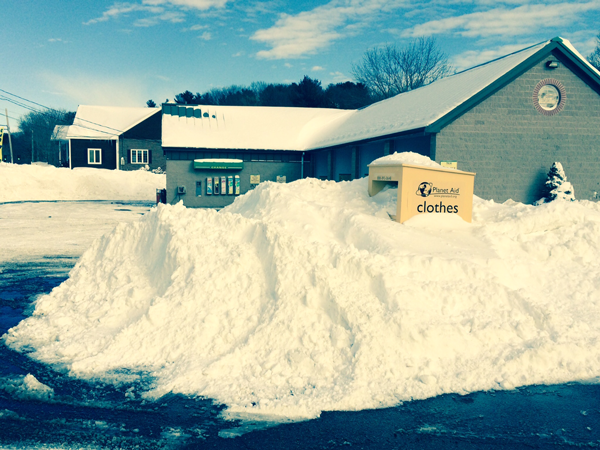 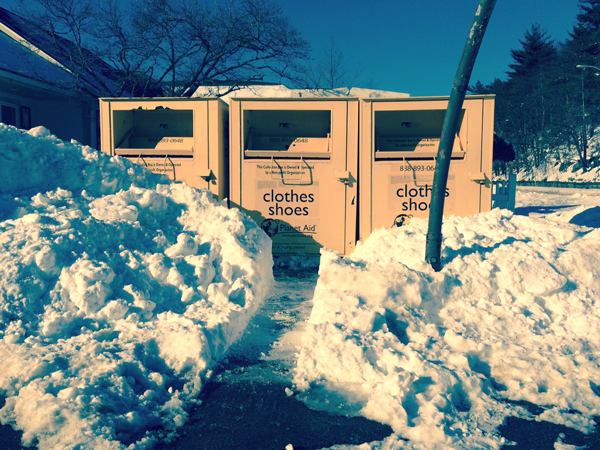 We sincerely appreciate the efforts of local community members who help shovel the snow around our yellow boxes!